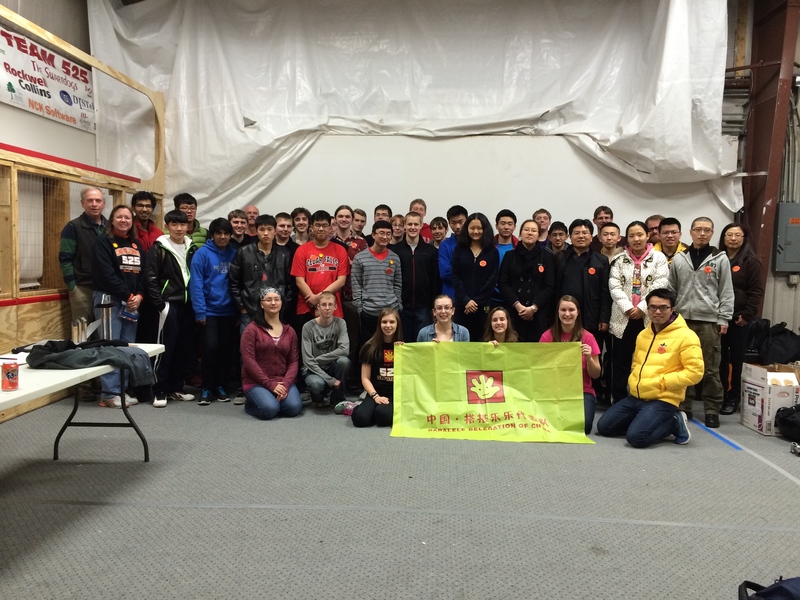 Members of FRC team 4830 from Shenzhen China were anxious to learn about our team, our city, and our culture. So they made the decision to fly in to Cedar Rapids and spend the day with us in Cedar Falls. They visited our build site and spent the morning in school with us. We then traveled together to Cincinnati for the Queen City Regional. At the regional, there happened to be a match where we were on an alliance with them. The announcer contacted us, suggesting that it would be neat to have the match announced in Chinese. One of our students and a mentor from team 4830 worked together to commentate the match in Chinese for the first time in FIRST history.